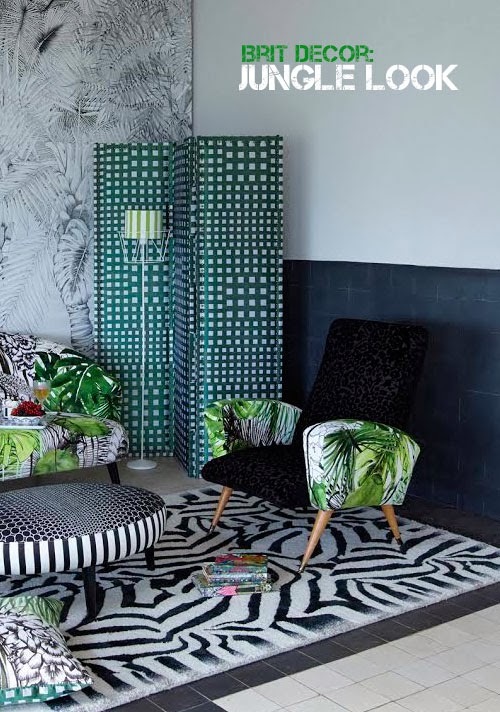 I would describe the jungle look as a complex layering of pattern and colour, full of surprises and a hint of the exotic - wow that's a pretty big interiors punch to pull, right?! 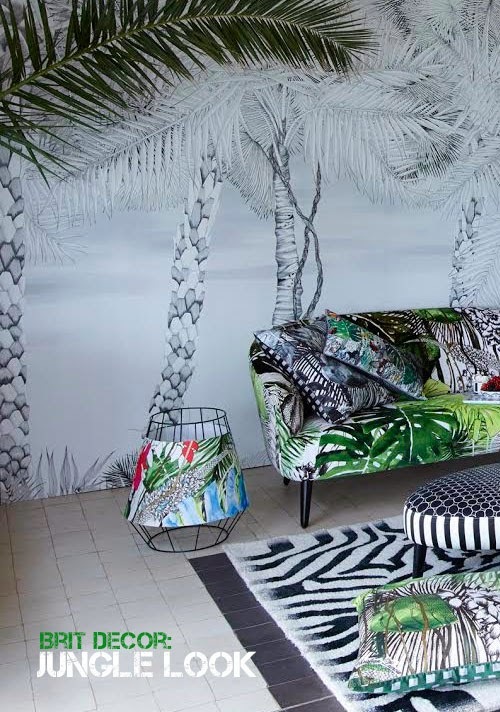 Christian Lacroix is totally rocking this look currently with his Belles Rives collection of fabrics (see images 1 & 5 above) with bold and exciting patterns fused with intense colouring. This multi-faceted style is actually very versatile and the layering can be as complex or as simple as you choose it to be. 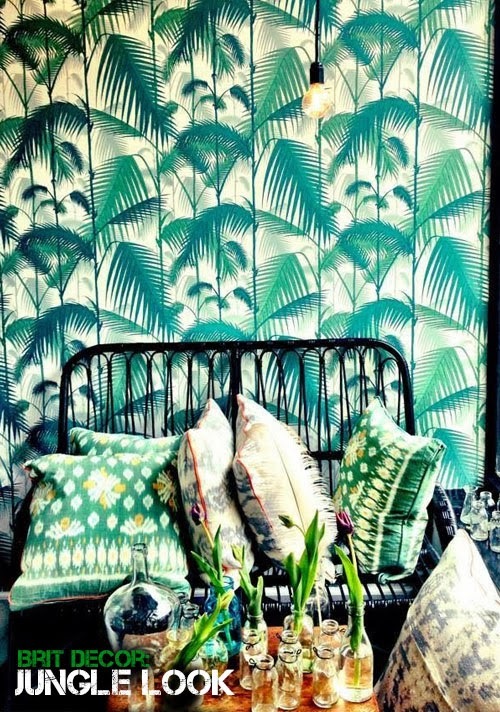 Luscious deep greens should be in abundance as should the presence of some impressive foliage, either in the form of rich textiles and wallpapers or an exotic house plant...or three. The really fun part comes with the need for vibrant splashes of colour, think exotic plumage and flowers and try to replicate these colours in small concentrated doses throughout your scheme. Finally, for true authenticity, the finishing touch should be a heady and exciting room scent to truly awaken the senses and create a sense of stepping into a new adventure! 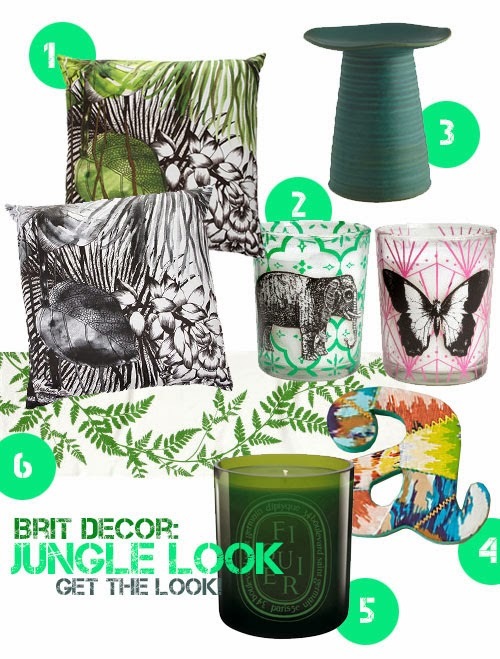 Of course, I couldn't help myself and had to scout around for some accessories to accompany the jungle look, and I found some perfect matches like these Christian Lacroix jardin Exo'Chic in Caviar and Rainette cushions (no.1 from Amara). And for those obligatory flashes of colour, I immediately fell for these H&M candles (no.2) and Ikat monogram letter from Anthropologie (no.4). For me, almost no room is complete without a beautiful ceramic piece and so Habitat's Nelson ceramic candlestick absolutely fits the bill (no.3). 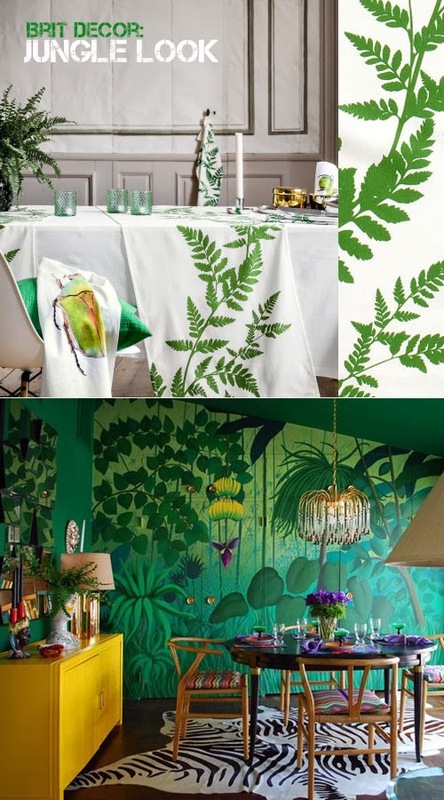 To add to the mix of foliage prints, I love the vibrant green fern leaf table runner from H&M home (no.6), simple yet highly effective. For the room scent, I chose Diptyque's Figuier Green candle from Liberty (no.5), the smokey green colouring is perfect and the scent is awesome.